The assessment process generally starts with a Checklist, and you can read about the various stages of the Continuing Healthcare assessment process here. The process should ideally begin as soon as a person needs full time care. If it does not, the person risks being means tested and told to pay for care before anyone has explored whether the NHS may have a duty to pay. If you are already paying care fees – or your relative is in care and already paying – and you believe you may be eligible for Continuing Healthcare, you can ask a health and social care professional or a care home manager to arrange an assessment. It’s important for family members to be involved in the assessment process and to be present at assessments. NHS Continuing Healthcare funding is available for full time care at home as well as in a care home. Financial means-testing should never be part of the decision-making process about eligibility for NHS Continuing Healthcare. Budgetary considerations should also not influence eligibility decisions. It’s about your health needs only. One of the sticking points in many assessments for NHS Continuing Healthcare is the difference between a ‘health’ need and a ‘social’ need. Many of the case histories we receive from families indicate that health needs are sometimes played down in assessments and described as ‘social care’ needs – but this means the person needing care is more likely to be means tested. Examples of this were also highlighted in the BBC’s File on 4 report: Continuing Healthcare – The Secret Fund on 18/11/14. If health needs are wrongly defined as social care needs, this could also put the local authority in an unlawful position. However, these assessment tools are used with what many families feel are punitive eligibility criteria that seem to be designed to make it very difficult to qualify for NHS funding. It’s vital to keep the Coughlan case in mind and the local authority legal limit. Are you eligible for NHS Continuing Care? The Checklist and the Decision Support Tool record health and care needs in 11 different categories, called care ‘domains’. These are: Behaviour, Cognition, Psychological & Emotional needs, Communication, Mobility, Nutrition, Continence, Skin, Breathing, Drugs/Symptom Control, Altered States of Consciousness and (in the full assessment) a 12th domain: Other significant care needs. Each domain is given a score. If you score enough in the Checklist, you go through to a full assessment with the Decision Support Tool. You’ll find the page references showing the overall scores you need at each stage here. If you have high enough scores in the full assessment you will qualify for Continuing Care funding. The assessors also consider the nature, complexity, intensity and unpredictability of all health needs – and this is where many families feel things can get very subjective. Many families who have contacted us about their experiences with Continuing Healthcare report that the assessment process was not open or transparent and that the guidelines were not always followed. There are many pitfalls to be aware of – and many points you often need to argue to get a fair outcome. Families also tell us that they are now increasingly asking their MPs to intervene to help resolve problems in the assessment process, and a number of MPs have also raised concerns about the process as a whole. The Parkinson’s UK report, ‘Failing to Care’, also highlights some of the problems. I work in a busy social care community team & regularly attend Decision Support Tools (DST) & often quote the NHS framework, however it now appears this document may not assist me to support the individual or their family as a ‘new criteria’ is currently in use focusing on ‘mechanical’ aspects of individual needs. I am confused with the ‘mechanical’ terminology & unclear how a legal document quoting a clear health criteria can be altered. My query is should this change be adhered to, or am I as a council employee able to challenge the changes even if it is a locally agreed process? Hi, I’ve just got a few questions. Firstly who should attend a Decision Support Tool (DST) meeting in a hospital as we have just had one and the only people in attendance was myself and wife, the district nurse doing the paper work and my mother in law’s social worker. We had her medical notes, but I’m annoyed as after the meeting the district nurse was advised by the doctor that my mother in law needed general nursing even though she is in end-stage dementia. Secondly I’ve seen stated that medical issues can be placed in every relevant section and yet at the meeting we were told they could only be placed in one even though the issue (pseudo seizures) were relevant in numerous areas. 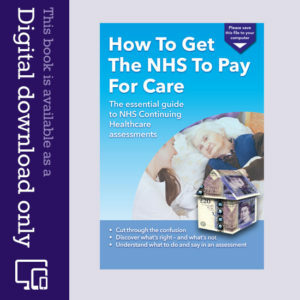 Firstly, I would like to say thank you so much, not only for this site but for your book How To Get The NHS To Pay For Care which I have read and re-read and found extremely helpful. My mother is currently in hospital and we are having the Checklist Assessment on Thursday. I feel sure that she will be eligible for the Decision Support Tool (DST) assessment but not at all sure that she will be successful here. My question is this: she is having a PEG fitted today (she cannot swallow at all after her second stroke) and I have been told that she could be discharged imminently once this is in place. Should I insist that she stays in hospital until the DST has been done and any appeals finished or can she be moved into a nursing care home without any risk of being charged until after this time? Hi, September 2016 my dad had an assessment in a Care Home, he was on 1:1 care because of the challenging behaviour, however he failed the test and i was told that he didn’t fit the criteria. Then it only took a few weeks for him to then be bedbound and the lost ability to swallow etc. He should have had a second assessment but didn’t, his needs was mainly focused on nursing care . Two months later he passed away. All the thousands of pounds that was paid every 4 weeks should be refunded. The problem is that the system is NOT fit for purpose as it crosses over from social services onto NHS. I’ve done letters, emails and many phone calls and got nowhere, my Mum is now in a care home with the same complaint, Dementia, and the refunds are needed to help pay for her Care. Any advice would be appreciated, I’m at the end of my tether. What process should be followed for someone who is being reassessed for CHC funding? i.e. should the checklist be carried out first, etc. , or should the process be straight to full assessment. Our son’s care home manager was told in a letter from the CCG that after a recent visit by them (which had not actually taken place) to send care notes, care plan and other information by email to the CCG for checking. The manager has now been informed that a assessment will now be carried out. Any help would be appreciated. Simon – when you say reassessed, do you mean a completely new assessment from previously being ineligible? Or is it part of an appeal? My mother is currently in a care home, she is unable to walk, talk, feed herself, go to the toilet and not on any solids. We have asked about CHC funding and basically been told by the care home involved that my mother would definitely not fit the criteria for funding she currently pays £503 per week and has been in the care home about 2 1/2 to 3 years and we have never been told we could have asked for my mothers case to be reviewed. Would anyone be able to help me? Today I have been left confused with the whole process of Continuing Healthcare (CHC). I have been through the process before and was successful in gaining CHC for my Father, a long drawn out process with many mistakes made but ultimately we got what he needed. Today was for my Grandmother. She scored high in four domains including behaviour and cognition, moderate in the majority of others. The fact that she has a degenerative mental health condition was taken in to account and it was agreed that her needs will change in the near future. At the end of the meeting the nurse assessor said she was not recommending CHC, no particular reason for this. Having read the guidance I thought that she would be classed as eligible due to the scores in the domains and her condition deteriorating. Have I got this all wrong? I feel as though I can no longer make head nor tail of the guidance. Should my dad be fast tracked because he has terminal prostate cancer and bone Mets, meets criteria for higher rate attendance allowance because he is not expected to live more than 6 months? He has 4 children and we are sharing a rota and are with him 24 hours a day because of frequent falls and to provide meals etc. He has social services carers twice daily but they are referring on because he is not able to be rehabilitated (they are the free service for 6 weeks). I think he scores high on checklist domains mobility and nutrition. Thanks for any advice. I have a Decision Support Tool meeting for my mum soon. She’s in nursing care and has dementia. High falls risk due to postural hypotension, 5 stone, needs 2 for transfers and walking due to falls risk, has seat sensor and is on 15 min observation chart re falls risk. She unpredictably tries to get up as forgets she shouldn’t. Would this behaviour be classed as a challenging behaviour in behaviour domain or just reflected in cognition and mobility domains? Also what is passive non aggressive behaviour as mentioned in the behaviour domain? Thanks. Mike – passive, non-aggressive behaviour could be situations where, for example, a person is unduly withdrawn or is unwilling to defend themselves or to speak up for themselves, or they exhibit the kind of behaviour that makes them unresponsive to questions or even to danger perhaps. Those kinds of things. Google the subject for more on that. Make sure any kinds of behaviours are mentioned in all relevant domains. Assessors may try to suggest that that certain needs or risks can only be mentioned once, but it’s vital that they are shown in every relevant domain so that a clear picture emerges of the complexity of needs. Firstly, thank you for the website it gives me hope in a sea of despair. My Mum, 92, broke her hip in June, she did have vascular dementia but was living independently with carers popping in twice a day. This was self funded and more to keep an eye on her as she was fiercely independent. Post op she is unable to weight bear, incontinent and her dementia is off the scale; no short term memory, no orientation to time and place and frequently frightened and anxious. She has to be hoisted from bed to chair and chair to wheelchair, she is very frail and her skin is like paper. She was assessed in hospital as not meeting the Checklist criteria for further assessment. The community matron has just done a nursing assessment to establish if she qualifies for Funded Nursing Care (FNC). Her report states she would be suitable for a residential home with dementia awareness. I disagree with her assessment but called several residential homes who all refuse to take my mother as she needs hoists, air mattresses, bed rails, commode, wheelchair and 2 carers to move. I had a meeting with the social worker and community matron who keep saying that she does not qualify for FNC. The community matron has now agreed to do a Decision Support Tool (DST) at my insistence, but it sounds like she is going to do it on her own (with me present) and said she does hundreds of them and he knows my Mum will not qualify. My question, who legally has to be present? Also, to qualify for FNC does the nursing care provided have to be given by registered nurses. Thanks for your help ~ the system is appalling and designed to help the State, not the poor souls who it is meant to protect. If a relative is awarded Continuing Healthcare but the amount awarded does not meet the costs of the current care situation, can the family top up to meet the costs or must the relative be moved to a lower cost home. If Continuing Healthcare is awarded but the result is that a move of care home is insisted upon, can the Continuing Healthcare payment be declined and the status quo reinstated? You say above “you can ask a health and social care professional or a care home manager to arrange an assessment. ” My mother has been in a care home for nearly 4 years. An assessment I believe took place in hospital following a stroke and she was deemed non-eligible. I believe that she now could be eligible but I am at a loss as to how to get an assessment done. I have approached her doctor and social services and both say that the other party is responsible. Can you please tell me who I should approach? Firstly, thank you for maintaining this site – I’d be really grateful for your advice on our predicament. In a nutshell, after suffering a severe stroke and previously being an amazingly fit and mentally agile woman, my grandma died in 2007. Her hospital healthcare was lacking at best, and I am sure she was placed on the Liverpool Care Pathway without our consultation or knowledge, hampering any ability she may have had to make any kind of physical recovery – however she remained cognitively sharp and despite her communication issues post-stroke, she did seem to be ‘there’ most of the time. Anyway fast-forward to her being placed in a care home – my aunt was the family member geographically closest and therefore most involved in any care decisions. However, prior to my grandma’s illness, she relied on her greatly to do everything for her – to the point that as my grandma became ill, my aunt lost her home and business, and had to move into my grandma’s home. She is over 60 and has never been the most stable of individuals, and therefore I think now that she may have been involved in some of the decision making around my grandma’s care, but was not in a position to make those decisions particularly well. Anyway as mentioned, my aunt lives in my grandma’s house, and has done prior to and since her death. Grandma’s will left the house to my aunt and myself and my cousins (sons cut out, long story…), and so ever since Grandma’s death we have said that my aunt could remain in the house – our understanding was that the council could not force the house to be sold until such time as my aunt either died or had alternative accommodation. However now they are chasing outstanding monies for care, and we would have to sell the house to meet this, leaving my aunt homeless. She is practically a recluse, however the council have decided today (by talking to her through her letter-box), that she is completely compus mentis. I am wondering if the best course of action would be to contest the care home fees in the first place – I don’t believe that any Checklist was completed to assess Grandma’s Continuing Healthcare needs (indeed I’m not sure this was even in place in 2005?). My brother has had some conversations with a legal representative from the council, who told him that Grandma signed a DPA (then a HASSASSA)- which was completely unbeknown to any of us. Apparently it is quite normal that no-one else would be involved in that….I had LPA at the time so I’m not sure this is accurate? Anyway, I’m sorry that’s an enormous amount of information and a big question – but is there any point in me trying to unpick the course of action taken by the council at the time or do you think we ought to leave it and concentrate instead on getting my aunt the help she clearly needs? My mum had DST today and i had done my homework and was very familiar with the domains. We had collected a lot of evidence and although I had to argue a few of them into the right category, she finished with 1 severe, 3 highs and a number of moderates. The MDT agreed to all of this and then said they wouldn’t recommend the funding as her needs were not unpredictable due to her needs been well managed and anticipated in her care home. I pointed out that a need should not be marginalized and it is still a need no matter how well managed it is. They ignored this. I know I can appeal but isn’t it just our opinion against theirs? How can I prove it? They will claim, as they did today, that her needs are not complex as they are easily managed by the care hone staff, and they are not unpredictable. Many of the domains have an impact in other domains so I assert her needs are complex and it is only because staff can manage her through knowing her so well that her needs are not unpredictable. She is doubly incontinent and sometimes refuses her medication and can be resistant to personal care so, in my mind this adds the unpredictable element. I am at a loss as to what to do next as they have made it clear that even though she scored highly they will refuse it on these grounds anyway. Thanks for your earlier advice. I have followed up on the matter of family attendance to observe the MDT and I have been told family are not allowed to attend. Previously families were allowed but this has been stopped as it was a ‘mistake’. My issue is transparency as I found the domain levels were altered after the DST without explanation. Although there was disagreement on some domains, the DST went with the majority vote in line with the framework. I would have though 6 votes for one domain as opposed to 3 for lower domain was pretty clear. What rights do we have to insist that family is included? I do not have a copy of the CCG panel (MDP) that met to ratify the decision as appareny there was disagreement at the MDT. I am not confusing MDT and MDP as implied by the CCG but the CCG has evaded providing the MDP on this basis. Lizzi – that sounds like serious maladministration if the DST has been changed behind closed doors. Families most definitely are allowed to attend the MDT meeting, and this is a vital part of what is supposed to a transparent process. The National Framework has several sections where it promotes the importance of direct family input, and nowhere does it say that families are not allowed to attend. In every case we’e dealt with here at Care To Be Different families have attended the MDT meeting. Also, if there is disagreement between the member of the MDT about scores, the higher scores must be awarded. Alan Chapman my partner suffered a major stroke last November he is blind in the left eye and paralysed down the left side,on February 1st he went into a nursing home for the rest of his life,he is 77years old,he had the nhs continuing care checklist done by social services and didn’t come close to securing it,he has to be looked after 24/7 ,he is doubly incontenant and has to be hoisted from bed to chair and chair to bed, I would be very interested in your comments. Malcolm – you can appeal anything you feel was done incorrectly during the Checklist, e.g. the scoring, the way the criteria were interpreted, the knowledge (or otherwise) of the person carry out the assessment, lack of appropriate evidence, etc. If you believe that Alan’s needs were played down or marginalised, and that the scores he was given should have been higher, put this all in writing and send it to the Continuing Healthcare team at your local NHS (CCG). Let them know that you wish the Checklist to be repeated as a matter of urgency. Thank you so much for the most helpful response to my my queries. My continued requests for a copy of the completed DST are met with a range of unacceptable excuses. My enquiries about my exclusion from the MDT and correct start date have also been ignored. 1. I attended the DST but was not allowed to observe the MDT despite being previously told I could observe . so I have no idea how the decision was reached. 3.The funding will be paid from one week after the DST/MDT NOT backdated to day 29 after the original Checklist was received by the NHS. Lizzi – it sounds as though the process has been flawed. I’m very glad you’ve been successful at securing the funding, though. The funding should be backdated to day 29 after the original Checklist was received by the CHC team. You should have a full copy of the DST and it should contain the written rationale for the decision. I can see no reason for you being excluded from the MDT discussion held during the full assessment. Sometimes families report being asked to leave while the MDT discusses the actual recommendation, but there’s really no basis for this. My husband has terminal cancer with a 2 – 5 month life expectancy, he recently returned home from hospital before a CHC assessment was carried out. Social services sent out a financial assessor but she said she could not make a decision on funding because we didn’t have a record of some premium bonds purchased about 40 years ago amounting to £3.00. Fortunately our Isabel Hospice nurse is fighting our corner and has been in contact with social services and the district nurse to get m y husband fast tracked, but it has been extremely frustrating at what is a very stressful time for us both. Jackie – It sounds like a very distressing time for you. Social Services should not even be talking about money or means testing. The CHC process comes first. My mother fell and broke her hip whilst in a nursing home. Unfortunately when she was discharged from hospital back to the care home a CHC checklist was not carried out. This was presumably because she was discharged to a home where her needs could be met. Since her return she has becoming increasingly in need of one to one care. I have asked the social worker, her GP and the care home for a CHC checklist to be carried out. All advised that I would need to request one from the CCG. I emailed my request on 4th May and, after a further phone call as I had not received acknowledgement, I received the relevant forms which I returned on 20th May. As I again received no communication to say the forms had been received I phoned to check that they had arrived safely. I was told that they had arrived but the assessment request is now on an 8 month waiting list! Surely this is outside the National Framework guidelines. I would like some advice about whether it is reasonable to accept this long wait and what to do next. I’ve noticed something odd in the feedback from the NHS on how they scored the DST evidence used in my mother’s unsuccessful retrospective full assessment. In the MDP’s comments on Intensity they said “…there was no evidence to suggest that there was an intense level of health need throughout a 24 hour period.” . Under Unpredictability the MDP said “… health needs were met routinely and did not present as unpredictable throughout a 24 hour period …” . I can see nothing in the National Framework to support reliance on a 24 hour period and this looks like a separate and specific criterion being employed in place of the judgement of the MDP. I understand that these words are wrong in several ways but, most significantly, this confirms in my mind that the CCG is using a separate set of criteria for evaluating evidence. These criteria do not appear in the National Framework, or any other source that I have been able to find, and set a very high and inappropriate bar for funding. Any criteria used should be used consistently by every CCG in the country, should originate from the NHS centrally and should be available to, and understood by, the public. It is not a level playing field if we spend days and weeks trying to justify our loved ones ‘needs around the generalised descriptions for domain weightings as shown in the National Framework if this can then be ignored by the NHS who have their own secret definitions. By MDP, do you mean MDT (multidisciplinary team)? You’re correct, Peter – the MDT assessors should look at all care needs and all risks, and not simply in one 24-hour period. They should also look at how needs are likely to change in the near future, Again, this cannot be evaluated just by looking at 24 hours. Thank you for your comments on the requirement to look at all the needs and risks. This was a retrospective review and assessment for which the CCG uses a Multidisciplinary Panel rather than an MDT. The reasons why, and what the difference is between an MDP and MDT, is not at all clear to me. At least now we know what the DST description for Priority in the Behaviour Domain really means. The DST description says: ‘Challenging’ behaviour of a severity and/or frequency and/or unpredictability that presents an immediate and serious risk to self, others or property. The risks are so serious that they require access to an immediate and skilled response at all times for safe care.”. Which apparently is the same thing as: “… behaviour did not escalate to a level that required skilled intervention 24 hours a day in a Nursing Home for Elderly People with Dementia/Mental Health problems or 1 to 1 care” . Much simpler – and no need for any consideration of needs or risk, or even any judgment! My father in law was recently reviewed for the assessment and myself and my husband were present. They did not discuss which score they put against all the questions they asked- is this the correct way of going about this? Also they mentioned that they could not conclude the assessment on the day and would have to go back to it because they would like to get a full report from my father in law’s psychologist- we are not too sure what is the best way of going about this to make sure we are being kept in the loop. He had previously had an assessment which we didn’t get but didn’t know at the time that we could have appealed as they hadn’t involved us. Hi Svetlana – no, you should be fully involved in the assessment and in the allocation of scores. It may be that the multidisciplinary team needs to gather more evidence, but be vigilant and make sure that the assessment process still moves forward. Be sure to read the Decision Support Tool and National Framework, and quote the relevant paragraphs to the CHC team about them having a duty to keep you fully informed and involved at all times. They should also tell you how the appeal process works. Sadly, it’s not usual to hear that this hasn’t happened. I would like to give you a huge thank you for all the information on this website, which meant that we had no battle at all to fight, since we were armed with the right info. My mother in law was in hospital and the level of care she now needed towards the end of her life meant that her care home were unable to take her back and she needed to go to a nursing home. The hospital were pressing us to get on and arrange this. CHC was never mentioned, the clear assumption being that she would be funding it herself. When we visited her care home to tell them that Mum would not be returning to their (wonderful) care, the manager said ‘in that case she should qualify for CHC’. We’d never even heard of CHC, and it had not been mentioned by anyone at the hospital. That evening I did some research and tripped over your website. By the morning (let’s call it day 1), I had an official-looking red folder labelled ‘Continuing Healthcare’ containing lots of printouts from the site, and knew what I needed to do. When we got to the hospital that day, I waved the folder about and asked who I needed to speak to and within an hour the initial assessment was done. It then needed to be signed off by a doctor as ‘fast track’. We were initially promised this would be done, then told that she was not fast track. By day 3 we had a doctor saying that she should be fast track (this was key, and without your advice I would not have pushed so hard at every doctor we saw). On day 4, she was signed off as fast track, and we advised of our preferred nursing home. Days 5/6/7 were almost no action, but she was still due to be discharged on day 11. We steadfastly refused to engage in any of the discussion between the hospital and nursing home on funding. By day 8 the nursing home were saying that without the appropriate funding paperwork fully completed they would not take her on day 11. Magically, on the afternoon of day 8, she was assessed and CHC was agreed. Day 11 is today, and a couple of hours ago Mum was transferred to her nursing home. Thanks so much for all the info, we couldn’t have done it without you! Thanks for your very kind feedback, Ray and Sue – I’m so glad it’s been helpful and that it’s made such a difference. Well done for persevering and standing your ground. Wishing you well. Hi. My mum has recently been assessed for NHS funding. She was found to have a number of moderate and high needs from the DST assessment but has been refused funding by the assessor as it appears her needs don’t meet the ‘primary’ need and therefore are only classed as ‘normal’ nursing needs. Is this right??? Lynn – we can’t say whether the outcome is correct or not without looking in depth at your case. However, if you believe she has been wrongly denied funding, you need to pull together everything you feel has been done incorrectly and request that an assessment is done again. The National Framework guidelines, case law and information on this site will help you do that. Angela, your website is exceptional and provides an enormous wealth of information even for professionals like me who work within the NHS. I am in a similar position to many others who have commented on your articles and information but I wondered whether you had any info for the guidelines in Wales as they are set up differently to NHS England and do not appear to have CCGs or work according to framework guidelines or indeed the Care Act. I am trying to get my home from hospital at present and she does have ongoing health care needs which are her primary needs. The hospital recognise this and state she would be entitled to 4 visits per day (organised by social services) but there is no facility in the whole Pembrokeshire Wales that accounts for 24 hour nursing care ( my mum is currently bed bound and requires turning throughout the night). The night care, the hospital have said we will have fund entirely. She has not had any assessments as yet, but I will be challenging every step of the assessment process. Thanks for your kind feedback, Belinda. The info on Care To Be Different relates to the Continuing Healthcare system in England, and I’m afraid we don’t keep specific details of the system in the other parts of the UK. Although the systems in Wales and England are very similar, there are some key differences. You may find this factsheet from AgeCymru helpful: http://www.ageuk.org.uk/Global/Age-Cymru/Factsheets%20and%20information%20guides/FS20w.pdf?dtrk=true Wishing you well. I am starting this, seems like reading the comments, journey for my 80 year old father. At the beginning of February he suffered a severe stroke. He’s still in hospital, and is in bad shape, mental faculties destroyed. Bed bound, unable to stand, let alone walk, catheterised and constantly tears off his colostomy bag, which he has had for the last seven years or so from suffering and recovering from bowel cancer. In all my bravery and good intentions, there is only 24 hour nursing care home for him. I was supposed to meet the social worker in the last meeting in the hospital on my father, hoping for advice, and for a CHC assessment to be done as soon as possible, which I read is after he enters nursing care home, but the social worker for some un-given reason didn’t turn up. Not an auspicious start. Another meeting is set up for next week, but this time I will phone the social service’s caseworker dealing with my father’s case beforehand. From a person that could mostly cook for himself, look after his personal needs most of time, look after his finances, to how he is now which happened overnight, it is obvious to me he qualifies, especially as I went though the checklist, a copy of I have obtained. I will see how the local health board of NHS Wales deals with this. I will comment again in a couple of weeks when things have moved on. My partner is at the complex stage of Parkinson’s disease and in need of moving to a care home soon. I rang the CCG where we currently live and asked for the assessment. I told the officer that the care home he intended to move in would be in a different town. She then replied that I would have to contact CCG there for the assessment. So I rang that CCG for the same request. However, they told me to contact another Continuing Health Care Team for the matter. So I did. The answer they gave was that they needed an assessment referral from his GP first. Without that they couldn’t do anything. What have I done wrong? Phad – your partner does not have to have moved into a care home already to get assessed for NHS Continuing Healthcare. Your partner can be assessed right now, while they are still at home. If they secure the funding, it can go with them. GPs often know very little – if anything – about NHS Continuing Healthcare unfortunately, but you could ask the GP to write to the current local Continuing Healthcare team and insist that a Checklist assessment is carried out. Dad is eligible since Feb 2015 for CHC. He was evicted from an EMI nursing home in Nov 2015. Dad is carerd for at hone, 24/7 by my 77yr old mum – CHC provide a 2.5hrs a day package, which is a case of 2 carers 4x to provide personal care- hoist from bed to chair/chair to bed and change his pad. Mum spoon feeds him, which can take an hour, gives him his Ensure drinks and fluid and sits with him to try to calm him (Alzheimer’s, vascular and psychosis). Dad has no mental capacity. He’s very vocal – screams/shouts, argues with his mind. CHC have told us the care in place is the MAX they’ll provide. 2.5hrs a day. Mum needs a break. No EMI will accept my Dad because he aint no easy patient! They don’t/ won’t cover 24hr in his home because he needs nursing care. And that’s only available in a nursing home. My mum aint no nurse? SO! where do we go from here?! (CHC is fully funded but what they fund is what suits them.) The system is full of pass the buck – and so very corrupt. Families are often told that a care home is the only option, but many families believe this is purely an attempt by the CCG to save money. CHC should cover all your assessed care needs, Sharon – so if the last CHC assessment you had didn’t take 24hr care fully into account, ask for a reassessment. My mum had a checklist done in hospital last week by an assessor who knew nothing about my mum. I was present and gave her the medical history as mum has extensive historical and current physical and mental medical needs. She has just been diagnosed with incurable cancer and the consultant has recommended palliative care. Mum scored 5As including several A*s. The assessor would not give me a copy of the checklist we had completed and I had to jump through hoops to get a copy several days later. I was then shocked to discover the assessor had changed the checklist pages and scores after we met and before it was sent off to the CHC department. Nevertheless mum still had 2As one of which was an A*. I expected to get a MDT meeting, however, I was contacted by phone yesterday by the CHC department who told me they had spoken to a senior nurse and because of what she had said mum now has no As and does not qualify for a full assessment!!!! How can they change the checklist subsequently and disregard all the info I gave them which can be verified with her medical records. Neither mum nor I have received a letter explaining clearly the screening out so I don’t know what to do next. The discharge team are now itching for discharge, but I am worried if I move mum to a nursing home all is lost and she will have to bear the cost of the fees and we can not appeal against this decision. My mother-in-law is suffering from dementia and has been in a care home for over a year. I have only just heard about CHC funding and understood the implications. I have found your website enormously helpful in arriving at this understanding, thank you! My mother-in-law received a letter from the CCG dated 3 March 2015 saying that a CHC needs checklist had been completed and this indicated that a full continuing healthcare assessment was not required, although at the time we did not appreciate the full implications of that. She was not given a copy of the checklist. However, we feel that her condition has deteriorated since then and we would like to ask for another checklist to be completed, the previous one was presumably completed last February. Are we entitled to ask for this (we have Financial Lasting Power of Attorney)? If so, what is the procedure? Thanks for your kind words, Pat. If you disagree with the outcome of the Checklist, you can appeal – although the time elapsed it your case may make that trickier. You should have a full copy of the pervious Checklist document – and your financial power of attorney is fine for that. Yes, you can request another Checklist, and I would do this at the earliest opportunity because any eventual funding will be backdated to the Checklist. Thank you for all the hard work put into trying to inform people about what is a complicated and confusing process. Please could you tell me, once CHC funding has been granted, who is eligible to be a carer? I know most people are interested in elderly care, but if it’s someone who is younger (20’s/30’s) who has qualified for CHC funding and is entitled to full time, 24h live in care at home can they have anyone as their carer… A spouse, family member, friend etc, or does it have to be someone unrelated? If they’ve been assessed as requiring a certain level of care I assume that it doesn’t matter who it is that provides that care because the need doesn’t change? I’ve looked everywhere and can’t find any concrete information on this, or anything that is very specific in saying that if a spouse were to become a carer then the level of CHC funding would be reduced due to ‘expectations’ of what a spouse should/would be expected to do! Any help or advice you can offer would be most greatly appreciated! We fought for and were awarded CHC funding for my dad in July 2015. All I can say is read everything that you can get your hands on that is linked to CHC and don’t let Social Workers or anyone else in a similar professional position put you off fighting! I found Care to be Different particularly informative and helpful. It was a battle, but it was one worth fighting for! Thanks for your very kind words, Deb. Well done for persevering with CHC! I am still fighting my appeal for mum’s retrospective CHC. The CHC body has agreed to a retrospective appeal for when mum went into the nursing home – she has not won it but they are at least looking at it. My main concern is my mother’s behaviour is as bad as it was when I was caring for her at home from 2002. Nobody from Social Services advised me she could be entitled to CHC, and I am sure somewhere I have read it is Social Services duty to put someone forward for CHC assessment if behaviour issues are involved with the dementia. Social Services are saying mum was assessed in 2005 by the Ward Team and Social Services but do not say what for. I am sure this is rubbish and she should have been assessed when the Framework started, however, I can find little information as to who legally has to make the recommendation for CHC. Can you please advise? Many thanks and Happy New Year. My 93 year old father has been in hospital for 4 weeks. He was admitted with severe confusion, complications with his diabetes and a chest infection. His medical needs were quickly dealt with and the doctor explained to us that he had vascular dementia and sadly my sister would no longer be able to care for him at home. He is currently resident in Somerset but we as a family have decided he would be better in a nursing home in Birmingham as there are more family members to visit him. So my question involves different health authorities really as Somerset are insisting that Birmingham will assess him when we find a home here – but surely a home won’t accept him without funding in place? Basically they seem to want to get rid of him without doing the CHC assessment which I don’t think is right. Brilliant website by the way, as we have realised that anyone dealing with elderly care seem to have to be experts in dementia and the way social services run overnight so all info useful! My husband has Lewy Body Dementia and this time last year, was sectioned under section 3 because of his aggressive behaviour. He was well enough to come home earlier this year under section 117. His Parkinson’s symptoms have become apparent since October; he was taken ill in November and has been in hospital for the last month. Thankfully he is well again now, and due to come home. However, his Parkinson’s symptoms have increased at such an alarming rate that he is now bed bound, doubly incontinent and needs help with washing, shaving, eating and has to be turned every four hours – in fact, 24 hour care. I’ve been told (by the ward sister and OT) that plans are taking place for him to have two carers four times a day, as I didn’t want him to go into a nursing home and that paperwork is being prepared for a Continuing Healthcare funding assessment. My question is; does being under section 117 have any bearing on the outcome and are any of his medical notes of the time leading up to him being sectioned, included in his Continuing Healthcare assessment. Your experience would seem to reflect how assessors often seem to bring their own subjective judgements into the process. Also, it’s not unusual for a detailed full assessment to take place and for it to be clear that here are significant health and nursing care needs – but then for assessors to use the ‘complexity’ issue to deny funding, but incorrectly. I have just stumbled across your comment and it mirrors my mothers assessment although they added she was a borderline case! I was just wondering whether you took your case any further and if so the outcome. My assessor has extended the assessment period for a further 2 weeks to allow the home to try and boost her calorie intake, to put on weight, by offering additional Oral Nutritional Supplements. She is weighing 45 kg. if she puts on weight no recommendation. This is part of managing her nutritional needs but it’s still a serious underlying need. The whole system is so biased! I’m just currently in the process of writing my section in the LHNA (Individual’s Carer’s or Advocate’s Perception of Needs section) for my father who will be going into a nursing home and also in the DPT. Do you have any useful links to help me complete this as I don’t know where to begin. That’s an important question Emma, and there would be too many links to include here to answer it in full. You need to include information on all your father’s care needs. This is an important task and a lot of the information on this site will help you. Also, look at the 12 different care domains in the DST, look at what scores you believe your father should have, and make sure you can show why. You’ll also need to look at the section in the DST on Nature, Intensity, Complexity and Unpredictability. Make sure the assessors have gathered evidence on every aspect of your father’s needs from all relevant clinicians, physicians, therapists, etc – and check the daily care notes and care plan to make sure those are up to date and comprehensive. I have a different question to most on the site. I was very happy with the assessment which I went through with the staff. It seemed a good process – until we totted up the scores and looked at the whether my mum was eligible. The sheet that defined eligibility or not was in a different typeface to the rest and had no page numbering . The DST seems universal and I can find it on the internet but the sheet that says you need to have 1 priority and 2 severe to get the care funding I can find nowhere. Is it possible that different areas require different score to achieve the funding? Hi Ian – yes, ALL assessors must use the same assessment form and the same eligibility criteria. No other forms and no other criteria are permitted. Regarding the scoring specifically, it’s one Priority OR two Severes (‘or’ not ‘and’). Have a look at pages 14-15 of the DST: https://www.gov.uk/government/uploads/system/uploads/attachment_data/file/213139/Decision-Support-Tool-for-NHS-Continuing-Healthcare.pdf Even if a person has less than two Severe scores, they can still qualify. It’s about their overall picture of need. My mum has just been given CHC fully funded. We do not want her in a nursing home, she has lived with us for 20 years in a flat on the side of our house. Can we have 24 hour nursing care here in her own flat? She does need 24 hour care, she is 93 and has dementia and medical problems. They have sent us details of 2 homes in the area, both of which we have seen and are suitably unimpressed! My mum’s family are everything to her and she needs to be next to us. She is currently in hospital. 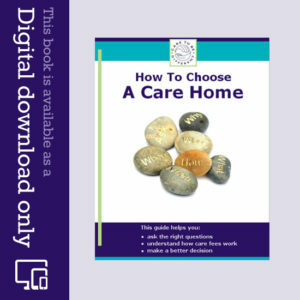 CHC is available for people in care homes or in their own homes. As long as your mum could be cared for safely at home, this may certainly be an option. Many families report being ‘encouraged’ to choose a care home, even if this is not the family’s preferred option. What a fantastic website. Thanks so much! My mother has dementia and various psychological and physicsl health needs. She was discharged from hospital last week where the care was appalling – whilst an inpatient she acquired a bedsore which continues to need treatment by the district nurse, her benzodiazepines and anti psychotic medication were stopped abruptly and I have spent countless hours trying to sort out her medication with the GP etc. (I was a mental health nurse for many years ). In short, my mother’s condition has been made worse and she now needs more care than before and we would like her to be transferred to better home, possibly a nursing home. Her social worker says she is not eligible for CHC funding. I have completed the checklist myself and disagree . I will download the Decision support tool and have a look at that asap. the Enduring Power of Attorney completed several years ago does not include the ‘welfare element’. A solicitor had advised me that this is untrue. Is it ? What a difficult, confusing process! Thank you for your kind feedback on the website, Tracy. I’m glad the website is helpful. It sounds like a difficult situation with your mother – very distressing too, not least because of the neglect in hospital and at the care home. The social worker cannot possibly know whether your mother would be eligible for CHC without a proper assessment process. Also, your Enduring Power of Attorney is fine – because CHC is all about funding, so the social worker doesn’t know what she’s talking about. My Husband was diagnosed with C.B.D last July. He has been ill for 3 years. He cannot talk except odd words, hold a pen to write, walk unaided only a few steps, feeds with food cut in small pieces with a spoon. I shower, shave, clean his teeth, dress and undress him. He has an Ileostomy and a Catheter to be cared for. He has Angina and C.O.P.D. I am happy to care for him 24/7. What worries me is a social worker has informed me that unless I get paid-for carers I will not be able to apply for C.H.C. My Husband gets very agitated with strangers. I would appreciate your help. Hi Elaine – CHC is available regardless of who actually provides the care, i.e. it does not have to be a registered nurse or other medically qualified person; it’s the nature of the care that matters, not who delivers it. You may find aspects of the Pointon Case useful: http://www.ombudsman.org.uk/__data/assets/pdf_file/0007/1105/The-Pointon-case.pdf Barbara Pointon cared full time for her husband, Malcolm, at home and successfully argued that her care was effectively the same as that of a ‘professional’. Hello, thank you for the information on your website. My mother-in-law has advanced dementia and is currently in a home. She has had an assessment and has been given one severe, two high and three moderate but was refused CC. I am appealing (meeting tomorrow) as they have not classed as immobile which clearly she is (bed bound and contracture a for 4 years). They said because they can move her she is not classed as Imobile, do you have any advice on this? Many thanks. Hi Charlotte – the comment by the assessors that your mother is not immobile because they can move her sounds ludicrous. The CHC assessment process is not about the ability of care staff or assessors to provide care or be able to intervene or be able to move your mother-in-law; it’s about your mother-in-law’s own underlying health and care needs. Sadly, it is not unusual for assessors to make such ridiculous statements. It may stem from a lack of training on their part – but that’s still not excusable. Their statement seems to be so ridiculous that I imagine it feels very patronising and rather insulting to your mother-in-law. Wishing you well with the appeal. Whilst it is being completed by the medical staff do they have an obligation to let you know which score (A, B or C) they are selecting as they work their way through the checklist? Or do you only find this out at the end? Or to put it another way, do they say, “we feel C” for this category, and do you as the patient’s representative get to put your case for B say? Thanks for your kind feedback, Paul – I’m glad the book is proving useful. Yes, you should be present when the Checklist is completed and you are entitled to add to the discussion about which scores will be awarded. Families often report assessments being carried out by people with little knowledge of their relatives, and so family input is vital – and if you disagree with the score being suggested, and you can show why you think the score should be higher, then definitely argue the point. NHS continuing healthcare is the name given to a package of care that is arranged and funded solely by the NHS for individuals who are not in hospital and have been assessed as having a primary health need . Where is NHS continuing healthcare provided? Hi Gina, I’m a senior nurse who completed Decision Support Tools (DST) every day so am happy to guide you through the process. They’re not asking you to fill in the DST but instead the application form for consideration, which is a minefield!! What I would suggest doing is looking through a DST, which you can access online by typing into Google: DST CHC, and look at each of the 12 domains and the guidance specifically point 21 on pg11 and point 31 on pg14-15. These domains and are broken down into categories – you’ll see these listed from ‘Behaviour’ onwards. In order to meet the criteria for funding your grandmother would have had to meet the criteria that the nurses assess for as described in point 31. For example if you look under the domain of Continence, there will be different categories which means that she had: No needs – in which case she could manage her own toiling and was completely continent; Low – means she had some incontinence but this was managed with regular toileting from carers or medication; Moderate – means she could have been doubly incontinent, had frequent urinary tract infections, or needed constipation managing; High – means that her continence was problematic and she required frequent bladder washouts or frequent catheterisation. Each year is separated and scored, so don’t be surprised if she is found eligible for one year but not another. You would only get funding for the ‘positive’ years. We have to complete the DST with input from a social worker (who has to agree with the level of care decided) and then the report goes to a senior assessor and then finally once you have had a draft to comment on, it will go to a panel to make the final decision. We write a recommendation of eligibility based on the outcome of the scores. If there is enough evidence then we make a positive recommendation, but sometimes the nursing home’s records are dire or we don’t have any nursing home notes and can only use the application form. Because it’s so difficult to fill in – people don’t know what to write and it makes a huge difference when there are no nursing records! So when you look through your grandmother’s records (care plans & risk assessments can be better) they will tell you what level of care she needed and you then match it up to the category. So for continence there will be a care plan that states how she was during the year. The nurse will look through all other records and extract the information that correlates to the dates within the positive year. The downside being that if it is not written down in the care plans or notes, we cannot state that it happened. For example a lot of carers write: continence care carried out. This is not specific enough as we cannot state without doubt that the individual was doubly incontinent. The care plan will state specifically what level of care your grandmother needed and you can document this in the application. Most of the time the care plans are good, but the daily records are poor. There is usually enough in the care pans for us to extract to make a case or we can go on the application form. If you record that grandma was completely unable to weight bear and we have no care records to prove otherwise, then we take your word that it happened. Mrs xxxx took over an hour to eat. Mrs xxxx required medication administering. Use the DST categories to guide you on what you write. You will get a copy of the draft DST to comment on and it will down to the panel to make that decision. I appreciate that this is complicated, it’s taken me a good few years working in CHC to get the gist of how it all works. Basically, a DST is there to establish a high level of care need that is outside of the care that social services would fund. Good luck!! Help needed! My grandma died in a home in 2013, since then we have come to the decision that her care needs were not met and we do not think she should have had to pay for her care. I have phoned numerous help lines and I have been told to fill in the Decision Support Tool document. I have all the daily records and paperwork from her care home but I do not understand how I am qualified to fill this form in? How do I circle what level of need she has? From reading the paperwork no assessments have been carried out on my grandma despite the care home requesting assessments. If anyone could give me any guidance on what we need to do I would be very grateful! Hi Gina – a couple of points: Whether or not your grandma should have paid for her care does not depend on whether her care needs were met, but on what her care needs actually were; it’s an assessment of needs, rather than an assessment of the care provider’s ability to meet needs. Also, you should not be left to fill in the DST by yourself; this should be a proper multidisciplinary review of your grandma’s case. Write to the Continuing Healthcare team at the local CCG (local to where your grandma was based) and request a full retrospective review for the period of time you believe the care should have been funded by the NHS. This could be because it may be cheaper for the NHS to provide care in a care home. It depends on the situation. Many families report being steered towards a care home rather than care at home. Continuing Healthcare funding does not depend on the care ‘setting’ though – it’s available at home and in a care home. Advice / thoughts pls. My mother has a history of mini strokes and was taken into hospital on 9/6. Decision toolkit has been undertaken and apparently doesn’t qualify for CHC; this is despite the assessment showing a) she is bedfast and immobile b) doubly incontinent and needs bed changing every 2 hrs in hospital c) she is on puréed food and drinks have to have thickening fluid added to prevent choking and has to be fed as she cannot feed herself d) cannot communicate with people to tell them her needs. If she doesn’t qualify for CHC I’m not sure who will. Am I being biased? I’m appealing when I get copy of the report, which surprisingly hasn’t been provided to us yet. Keep in mind that eligibility is not about specific diagnoses or specific needs – it’s about the whole picture of need. I can understand your comment though. When you get the Decision Support Tool, go through it very carefully and challenge everything you disagree with, plus any inaccuracies, misleading statements, omissions in evidence of care needs, plus any language that seems to play down the severity of need. i have had a DST metting for my mum who died in July 2013. We were turned down for Continuing Care. I have since had appeal to the strategic health authority on january 13 this year 2016. The DST meting was behind closed doors in September last year. I was not invited, it was behind closed doors. I was told in familly metting that her last year would not be counted. Can you tell me then why she was assesed for period 1/1/2010 to 31/3 2012 and not to July 12th 2012, particularly where in the domain of cognition she was described as high, ie 31/3/2012, yet a reveiw on April 3rd 2012 (three days later) she was diagnosed as severe. She was also unable to weight bear and immobile yet scored as low. Who decides the dates to reveiw and is this legal? Rest assured we are taking it to the next stage and then the Ombudsman I would like some advice and help. As far as we are concerned we have two severe domains and three high. We have paid some £95,000 in fees. We are trying to get something back. I feel they have manipulated dates to suit. The whole thing is a lie. My mother had been in a nursing home from 2007 to her death in 2013. She broke her hip in 2007, she went back to residential home – no risk assessments – she should have been in Continuing Care from 2007 as home could not cope. Would love some advice. Good question, Nigel. It sounds as though your late mum’s retrospective case should indeed cover her care fees up to the date she died. Ask the CCG for specific reasoning as to why the full period is not being taken into account. My father in law, was assessed a few months ago for CHC however we were told he didn’t meet the criteria. He was discharged from hospital into a nursing home but unfortunately became poorly and was re-admitted into hospital through A & E 3 weeks ago, another CHC assessment was done without our knowledge and again they say he doesn’t meet the criteria even though his circumstances have changed .He is blind, had 2 strokes and his epilepsy is worse, he is on sedation daily because he is very agitated and at risk of falls, he has one to one care in the hospital. The nursing home he was in have said they can’t meet his care needs and he needs EMI care. We believe he should qualify for CHC. My mother-in-law went through the CHC Checklist process just before hospital discharge and a full assessment was recommended. A DST meeting has been arranged in the care home where she is now resident: should the MDT assessment (which I, as her LPA, will naturally attend) be before or after this DST meeting (which, it would appear, is being conducted by one person, a CHC Nurse Assessor)? I have come across your BRILLIANT site and thus so much reading to do etc as well as enquiries to make as my mum has been in a care home now having been admitted under the Mental Health Act (due to confusion/wandering). She needs 24 hour care, 2 nurses etc as she has Dementia. The local Council Authority have taken out approx £20,000 over a 3 1/2 year period from the bank account This equates to just about what mum had in finances and not much more is left in her pot of money. I understood that an individual was to be left with a certain amount financially?? If anyone knows this £ figure please can you let me know. Whatever, I now need to make enquiries into this 24 hour CHC. Thank you Angela for your information. More people need to be informed and made aware of how all this care home business and fees work. Thank You. I am worried I am not going to be of any help with my mums assessment next week. I often feel kept in the dark about most decisions and mum has being paying full costs since she needed care. What can I do to help with the assessment , how can I influence the decision ? Make sure you know the National Framework guidelines and the eligibility criteria inside out – so you can challenge the assessors every time they make a mistake or try to play down care needs. If you have power of attorney or you are acting as your mum’s representative, you have a right to be fully involved. Any assessments carried out without you will have to be done again. If your mother is assessed as being eligible for Continuing Health Care (CHC) this is provided free of charge by the state. If it is EMI care in a nursing home, she will have to pay for the care if her finances/assets are over the threshold, (currently £23,250). [****See editor’s note under this comment] If her finances are under that amount, her local council will pay. Some councils have a set maximum rate they will pay for such care and if you choose an expensive, five star care home, you would certainly be asked to top up the fees. However, the council cannot force you to pay for or contribute to your mother’s care fees; it is not your responsibility. If you cannot, or do not want to top up the care fees for the better care home, then your only course of action is to accept a care home whose rates are acceptable by the local council. Your council will have a list of care homes which will accept their rates and if you are happy for your mother to reside in one of their homes, the council will fully fund this themselves. Hello Mrs Gee. So if your mum requires a nursing home and she is in care home the district nurses should do a CHC checklist in which will show whether she qualifies for a DST, which is a 38 paged healthcare assessment and this may outline if she qualifies for some NHS funding or any sort which could help her in her care home setting from a funding point of view. My mum was discharged from hospital about 7 weeks ago and put into an EMI nursing home as the social worker who did 2 assessments on her in hospital said that she couldn’t go home as we would not be able to cope with her and that she couldn’t go into a normal residential home as she needed 24 hour nursing care. We have been waiting for a financial assessment to be done and for the social worker to sort things out for us; she has now told us that my mum has only been awarded £120.00 per week towards her care and that we have to find the rest. After reading your website I am not sure that this is the case though as she said that mum needed 24 hour nursing care?? We have had a solicitor’s advice and he says that the NHS should fund this. I dont think she has had an NHS assessment but i am going to ask for one. Our social worker has not been good at all and it’s such alot of stress. Can you suggest anything else that we can do? ?